In 1964, actor Gilbert Roland was in the audience at a bullring in Nogales, Mexico as Canadian-born "matadora" Carolyn Hayward prepared to do battle. The actor's father, grandfather and great-grandfather all worked as bullfighters. 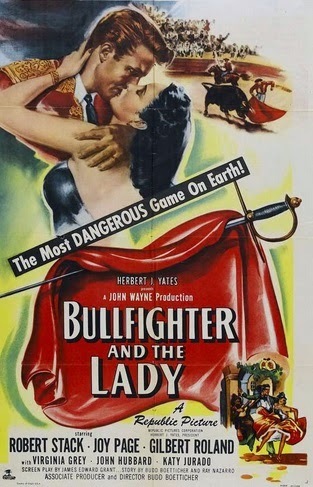 On the silver screen, Roland played an aging one who teaches the sport to Robert Stack in the 1951 movie Bullfighter and the Lady. What happened next in Nogales certainly belongs in Canadian filmmaker Rhonda Buckley's proposed documentary about Hayward, should Buckley be successful in those efforts. Right now, as she recently told the St. John's Telegram, she's just trying to track Hayward down. Roland sat in his box seat, pleased that Hayward had dedicated her first bull of the afternoon to him. But the bull, hooking badly both right and left, caught Miss Hayward with a horn and tossed her to the ground. Roland instantly leaped into the arena, got to Hayward and pulled her to safety. "I don't know what I was thinking," said Roland. "I guess the blood of a Mexican matador came out in me." Olé! A few years earlier, while visiting her native Canada, Hayward told wire service Canadian Press that her dream was to bring bullfighting to that country, culminating with a big showdown at Toronto's Canadian National Exhibition. 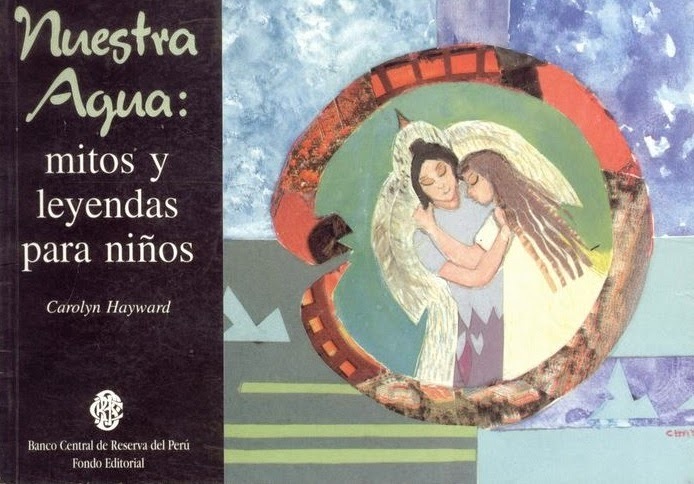 That never came to legally pass, and after working extensively as a female bullfighter in Mexico, Central and South America, Hayward retired from the sport in 1970 and moved on to an artist's life in Peru. Her illustrations, for example, adorn this children's book. Assigned, one summer morning, to report on Carolyn Hayward, a bullfighter in Spain — who was rumored to be disembarking a vessel in St. John’s Harbor for a visit to her native St. John’s — I approached Guy, seeking advice on interviewing her. He offered to accompany me. Together, we walked both sides of the waterfront, and boarded each moored vessel, in search of our quarry. Hours later, we identified a woman leaving a ship. We hailed her and learned her given name was "Carolyn." Our 4.25 by 5.5 inch newsprint pads in hand, we commenced questioning. Clear from her responses, the woman was not a bullfighter. Rather, she gained her wages from retailing physical intimacy. We made the recounting of her harsh life the subject of a feature story we left on the editing desk about 2:30 a.m. Later that morning, we were escorted one floor up to the Telegram’s executive offices to be chastised by then-management. Buckley has made contact with Hayward, who now lives in Southern Ontario and has agreed to participate in the short doc, to be called Terranova Matadora: Carolyn Hayward. How to purchase Terranova Matadora documentary on DVD? Good idea to put on Amazon~!